University of Ibadan (UI) maintains her premier position in the latest released Times Higher Education Emerging Economies University Rankings 2019 covering only institutions in countries classified by the FTSE as “advanced emerging”, “secondary emerging” or “frontier”. The review covered a total of 442 higher institutions from 43 countries and four continents, and the results was released in January 2019. University of Ibadan ranked the highest(141) of the three Nigerian institutions showing great strength in Citations and Industry Income. The other two Nigerian Institutions are Covenant University which ranked 151 followed by University of Nigeria Nsukka, ranked 351+. In the World University Ranking 2019, University of Ibadan also maintains her leadership position in Nigeria coming behind only two others in Africa while inching closer to the top institutions. The report of the global ranking using 13 performance indicators was released in the last quarter of 2018. UI continues to be the institution of first choice in the fields of Medicine and Surgery riding on an excellent faculty and world class curriculum. In the Times Higher Education ranking, UI was returned as the number one in Medicine and Dentistry in Nigeria and West Africa. UI has been steadily improving her ranking since 2016 when she was first ranked as one of the 1000 leading global higher institutions. It is expected that as Nigeria improves her ranking in the comity of nations, the international outlook of UI will record a very significant leap that will further move the Nigerian premier institution higher in the global ranking of leading institutions. It is worthy of note that Nigeria had improved in global ranking by having two additional institutions emerged behind UI to increase the number of our national institutions to three. As a nation we need to improve by having more of our institutions listed. Egypt for instance has 19 institutions listed among the Global Top 1000 Higher Institutions riding on the better international outlook. Improving International Outlook in Nigeria is a national concern and should receive quality attention. If resolved, it should attract more international scholars to Nigerian institutions. 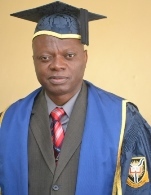 University of Ibadan is poised to record significant improvement in her global ranking by consolidating her strengths and recording better results in other areas.